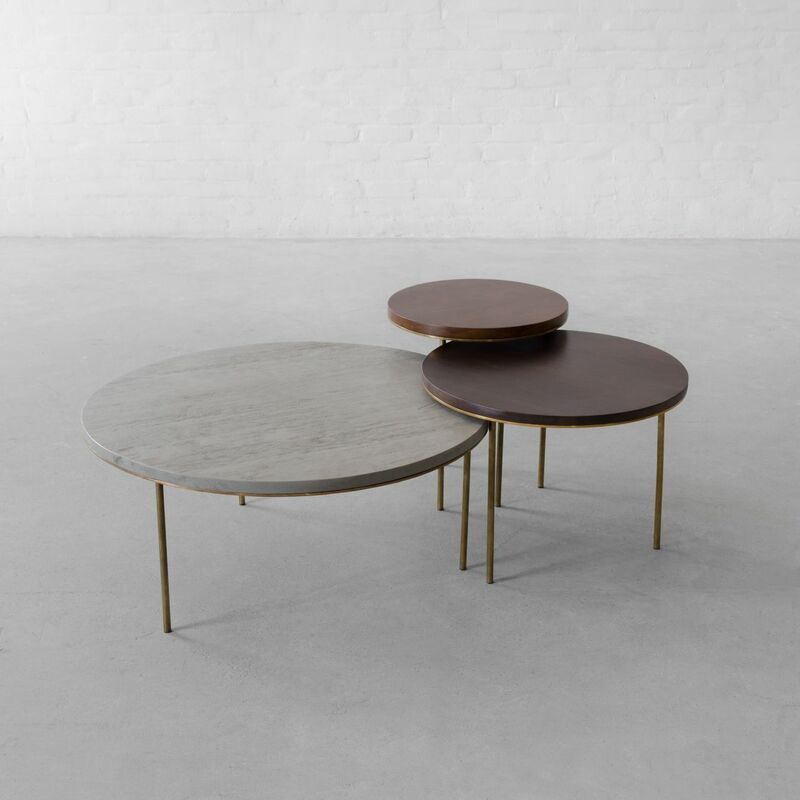 Slender, versatile and distinctive, this design is composed of three individual tables which when combined becomes a center table. 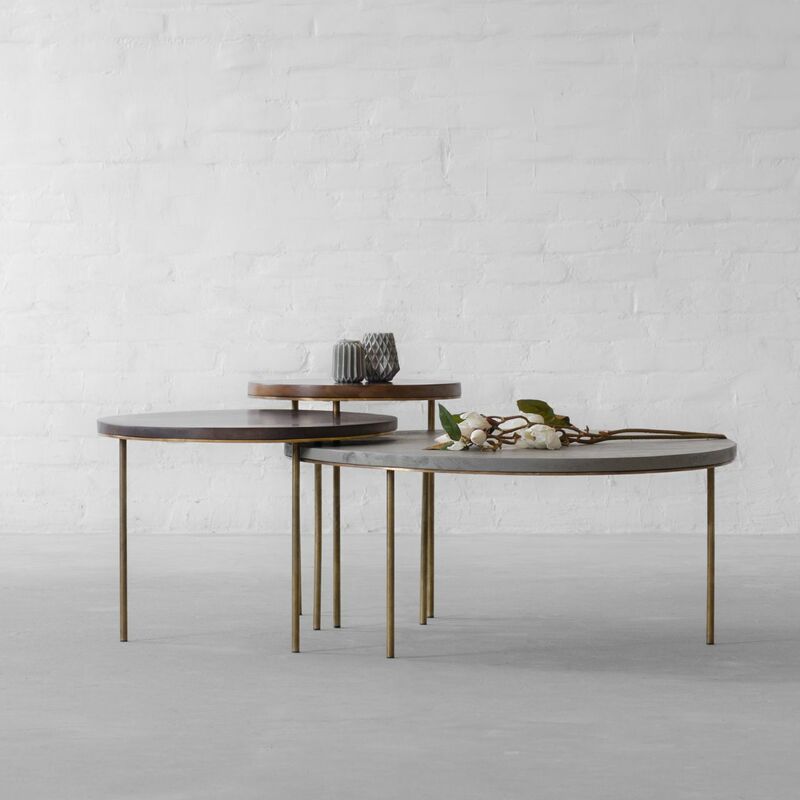 The slender metal frames along with tabletops composed of fine hardwood in a mix of chic wooden finishes occupy minimum visual space while making a striking statement. This modern age design lets you customize its appearance according to your functional and space needs. Go warm with all Cinnamon tables or choose to go classic with all forest. 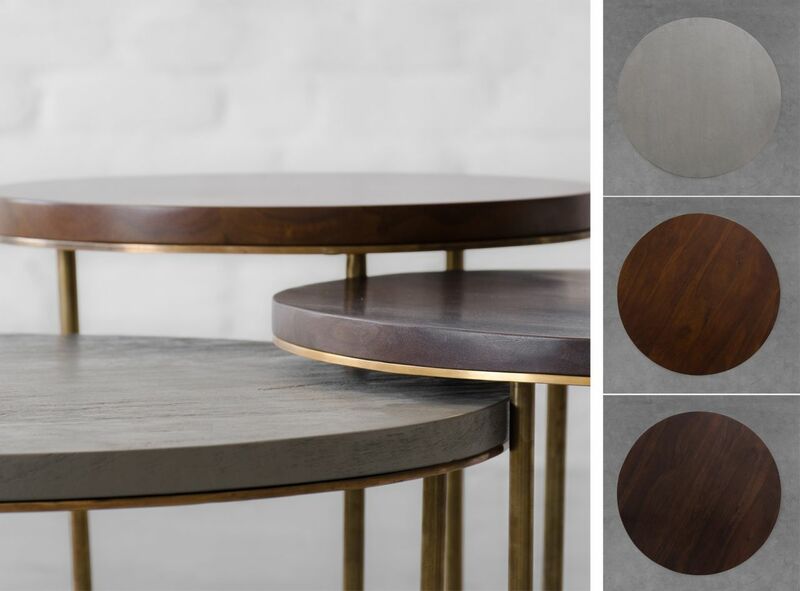 Simply add an industrial touch with all Thunder Ash finished tables or go for a mix of all the finishes for a never-seen-before look.